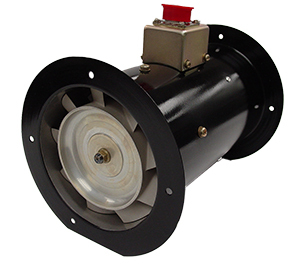 Our aerospace Axial and Vane Axial Fans and Blowers are available in over 20 brushed or brushless designs and are RTCA / DO160 certified. Our qualified product specifications are given below, but our team of talented engineers are ready to create optimized designs for all types of custom requirements, including use on business, commercial, military jets and helicopters and military ground vehicle applications. Our popular Axial designs are known for their general purpose ventilation at an economical price point, while Vane Axial designs are often used in applications where increased performance and reduced noise are required.